The tyre belt muck loader is a kind of underground mucking loader mainly applied in mining engineering, hydraulic engineering and production operation sections of non metallic, water culverts, non-explosive mines and a variety of rare materials in the underground mining industries. The shipping capacity of the tyre belt muck loader has been greatly improved, by using a separate loading transport system. What's more, combined with high-efficiency hydraulic values, the speed and rotation speed of the boom of this underground mucking loader can be accelerated to achieve a perfect performance of complex operations. 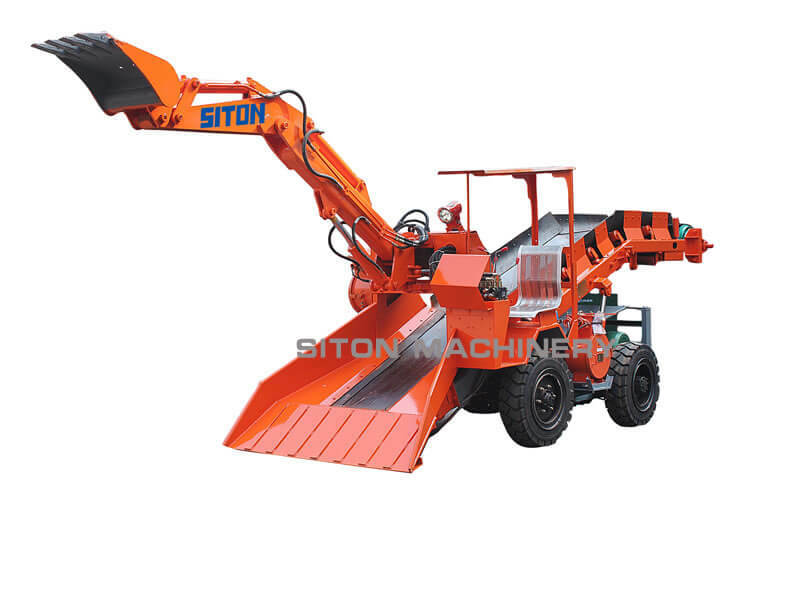 Founded in 1992, Siton machinery manufacturing Co., Ltd., is consisting on manufacturing tyre belt muck loader in China. Our products mainly include mucking equipment, tunnel excavating equipment and mining haulage equipment. 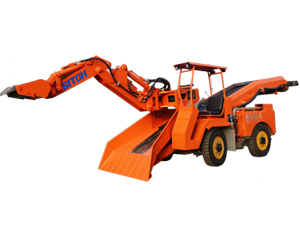 At present, we supply a full range of mining equipment such as wheel mucking loader (wheel haggloader, wheel tunnel excavator), rock mucking machine, etc. We have obtained the security certificate and the patent certificate of national grade. And our company possesses more than 60% market share. etc. If you are interested in our tyre belt muck loader, please contact us freely.